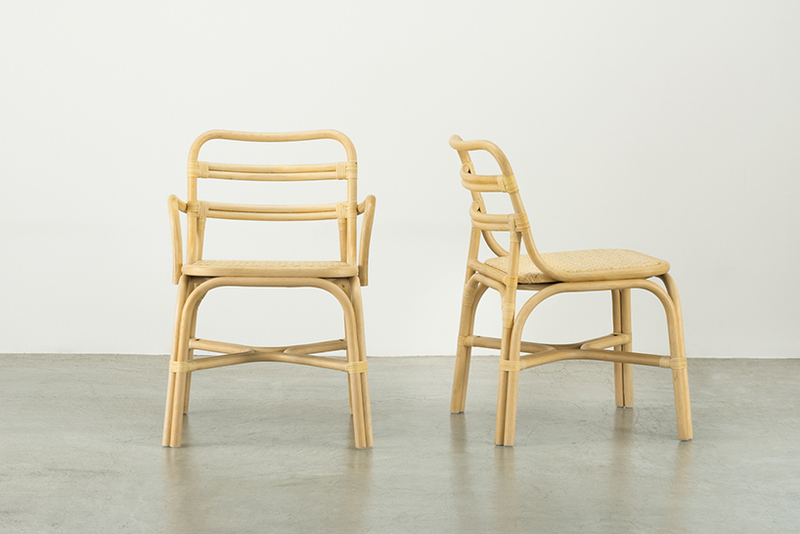 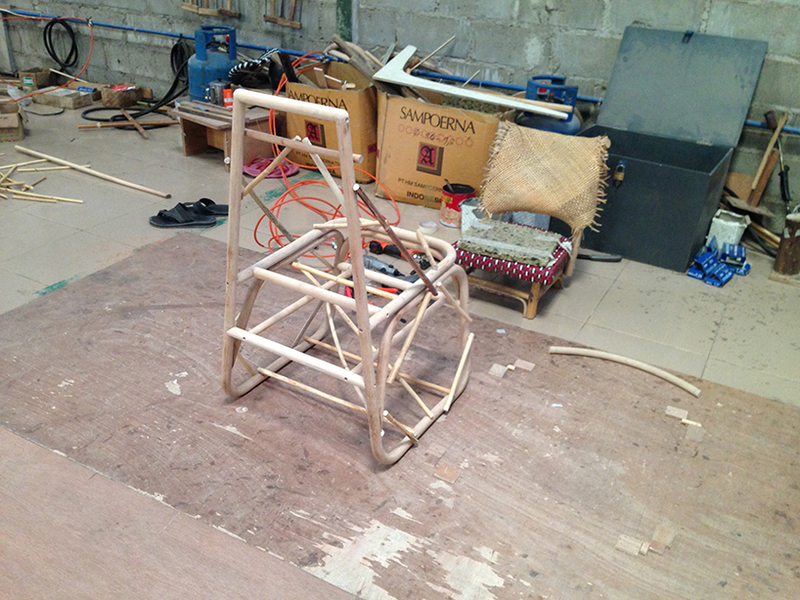 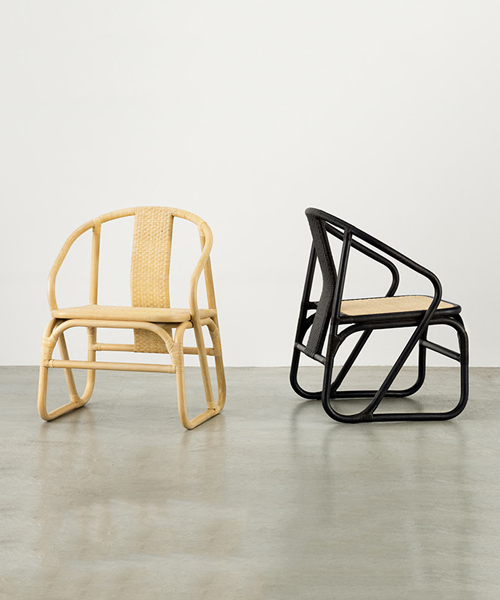 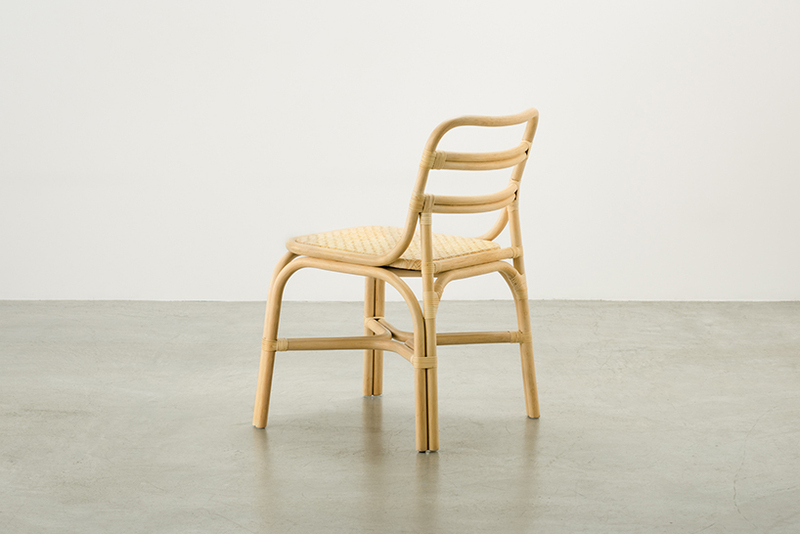 pursuing oriental beauty and modern functionality tokyo-based design duo, drill design, suggest a new type of rattan furniture for japanese furniture brand TOU. 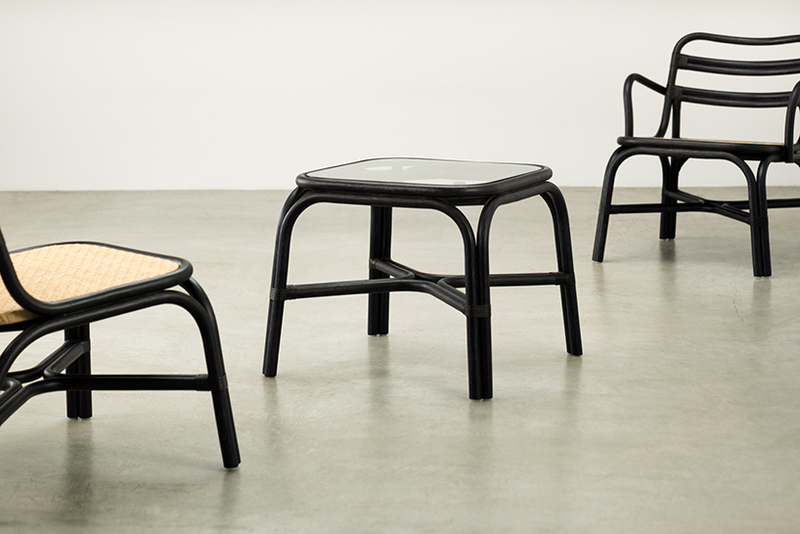 their MR and SR series reinterprets traditional chinese design from the ming dynasty, creating chairs, stools and tables, that harmonize with the modern space. 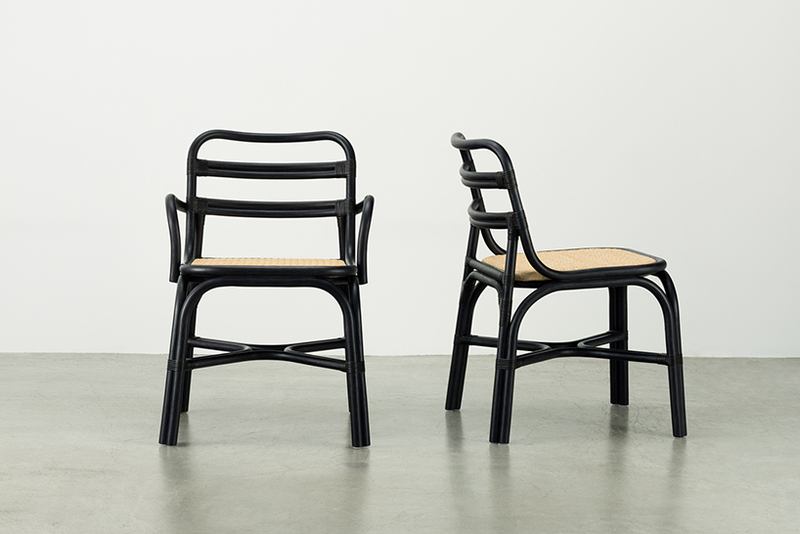 manufactured by TOU, drill design‘s MR and SR series take inspiration from the simple and stoic beauty of shaker type furniture, crafting lines of what they call ‘new age’ options. 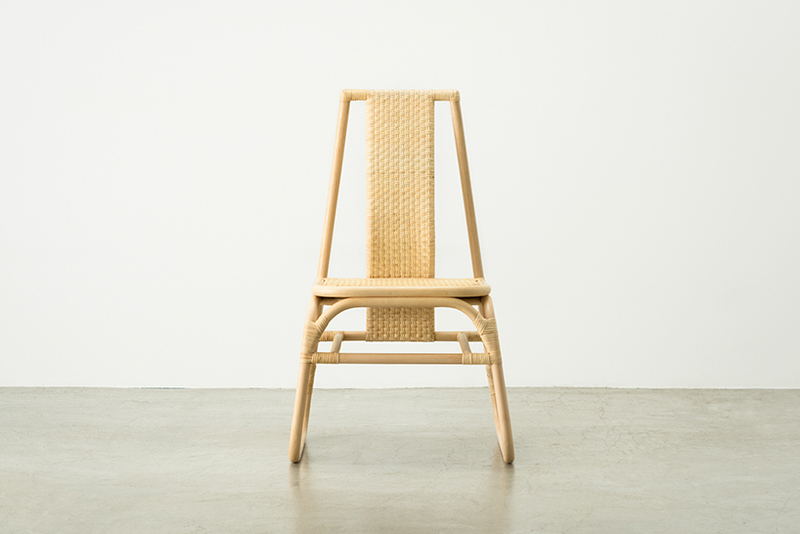 with sled shaped legs their range of chairs and stools realise comfortable usage, with a form favoured for its soft impact in japanese tatami rooms where lightweight carpeting made from rice straw would be the traditional choice. 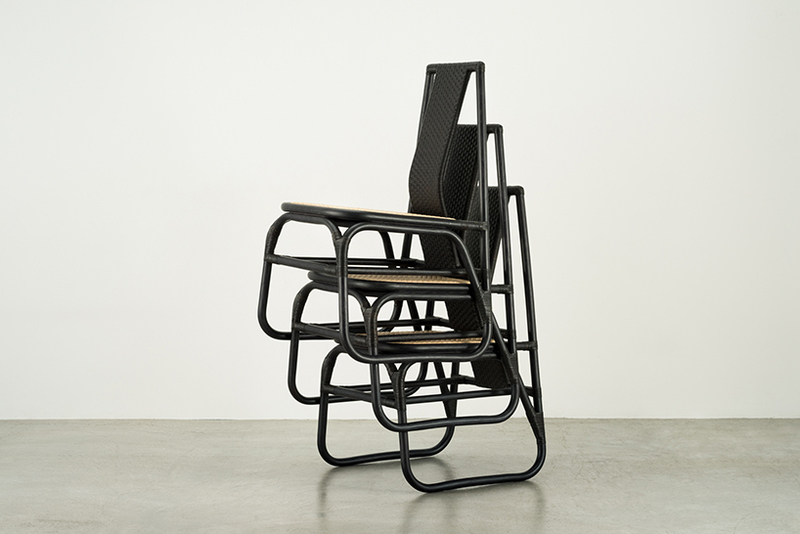 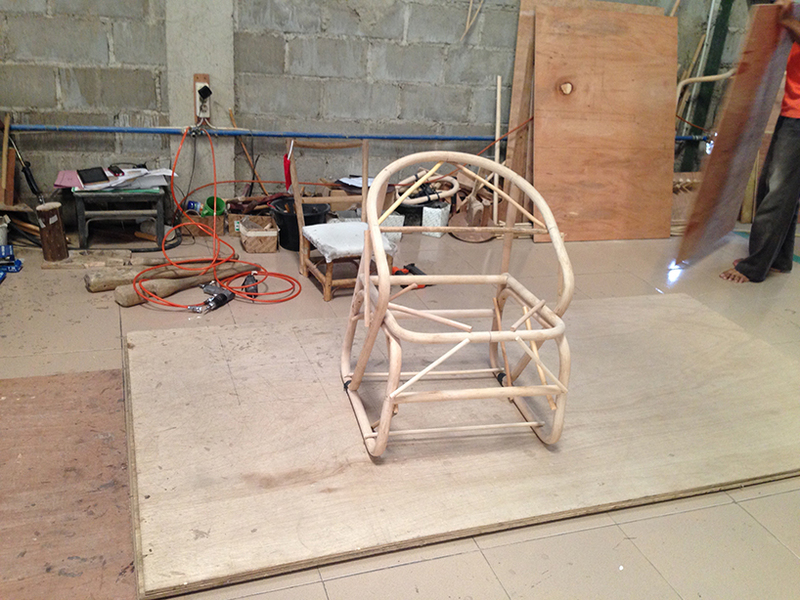 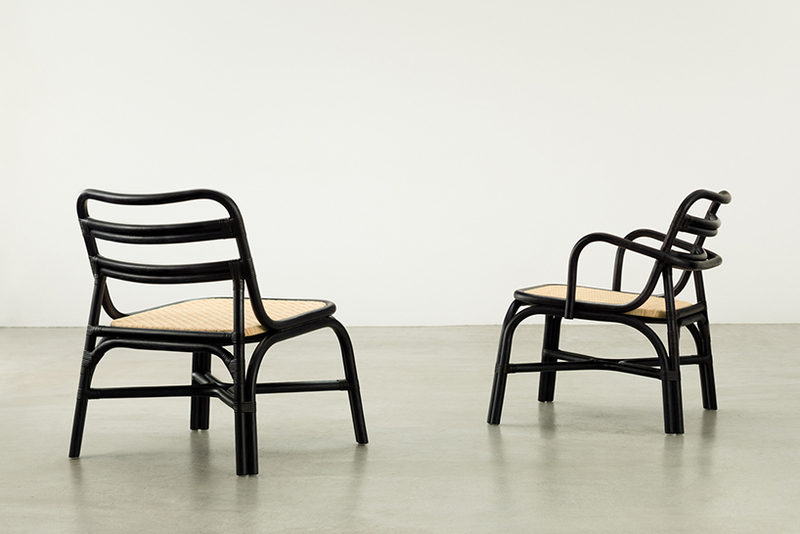 the structural form of the MR and SR series, which bends slightly sideways, allows easy stacking whilst the seat of the chairs can be exchanged in case of necessary maintenance. 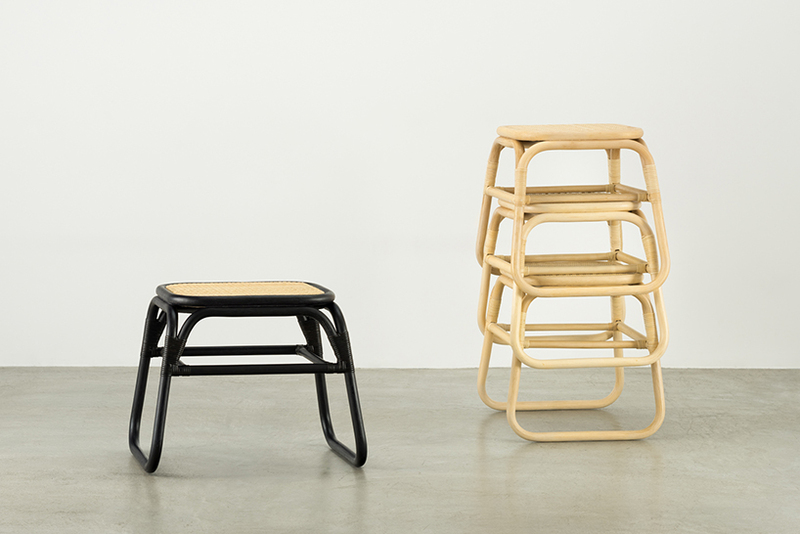 with this, drill design have created the line with form and function in mind, with ease of storage and care the focus. 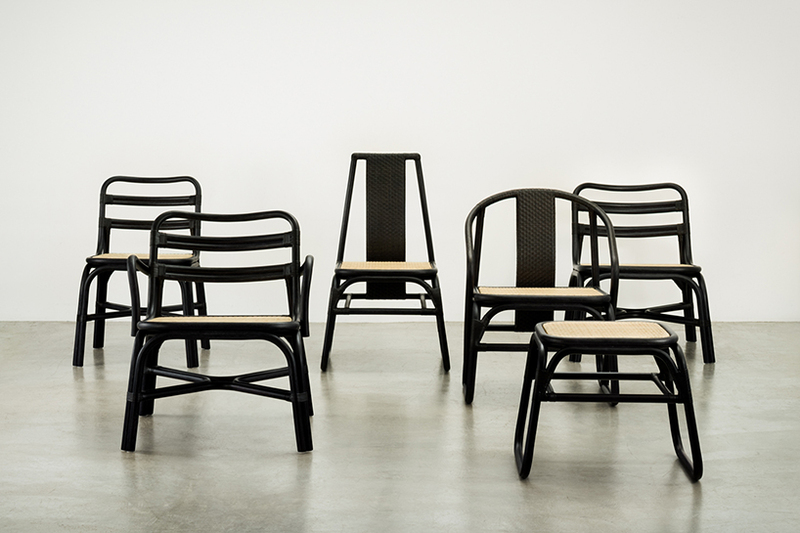 using quality natural material and first class manufacturing technology the line harmonizes with a variety of spaces comprising of light-weight rattan that is easy to handle.